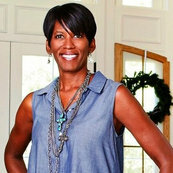 Tracy Deshazo Interiors helped me with my dream home. Building a new house, I was overwhelmed by all the decisions that had to be made. Tracy was a pleasure to work with; patient, exuberant, professional. She knew when lead and when to give in! She came with me to pick out tile and countertops, helped tremendously with my cabinet maker in design choices and color, made unique suggestions for some light fixtures, and assisted with a color palette that fits us perfectly. I would highly recommend Tracy and her services.